The Next Generation Pre-workout Formula with EPO Blood Building Technology Triggers Powerful Anabolic Hormone EPO for Extreme Muscle Pumps, Power and Performance! DARK RAGE sets a new scientific standard of pre-workout supplementation with exclusive EPO Blood Building Technology™ and an amazingly powerful combination of advanced, next generation ingredients designed to take your workouts to an entirely new level of intensity, increased strength, extreme muscle growth, incredible anabolic muscle pumps and fast recovery! DARK RAGE STICK PACKS NEW Carb-Free Formula! Revolutionary Pre-Workout Formula For Extreme Pumps, Power and Performance! Feel the Power of DARK RAGE and Experience the Ultimate Workout! Exposed: The Secret Extreme Technique Used by Bodybuilding’s Super Freaks to Trigger Blood Engorging, Vein Popping Muscle Pumps and Force Muscle Growth! DARK RAGE introduces a new pump inducing technology that goes far beyond nitric oxide. Compounds called Erythropoietin Stimulating Agents (ESAs) are being used by bodybuilding’s elite to induce muscle pumps and muscle growth far beyond nitric oxide or anything else ever used. These ESAs have been a closely guarded secret of the bodybuilding underground because they help push physiological limits to the edge. DARK RAGE is the first ESA that blows the cover on this closely guarded secret. Bodybuilders are reporting the most amazing pumps and gains in rock hard muscle ever. What makes DARK RAGE’s pump so immense is its ability to stimulate the release of erythropoietin (EPO), which increases red blood cell production and blood volume. The truth is that a pump is the result of delivering more blood to muscle tissue, so while the use of Nitric Oxide stimulating ingredients like AAKG and Arginine are somewhat effective by causing vasodilation, they do NOT increase blood volume. DARK Rage’s dual EPO-NO action causes what scientists call “hemodynamic blood plasma vasodilation.” What this means is a larger supply of EPO induced blood is simultaneously being transported through nitric oxide induced vasodilated veins and capillaries to muscle tissue. This increased blood supply not only increases the size and effects of the muscle pump, but it also has a profound anabolic muscle building effect as it feeds your muscle tissue with DARK RAGE’s other active ingredients like creatine, beta-alanine, BCAAs, AAKG, Arginine and more. Furthermore, increased blood supply also means increased oxygen supply, so it will help enhance muscle performance and delay muscle fatigue. The Bottom Line is Nitric Oxide Isn’t Enough… To Build More Muscle and Better Pumps, You Need to Build More Blood with Dark Rage’s EPO Technology!! • EPO receptors are found in skeletal muscle. Activation of the EPO receptor in muscle stimulates the activator of a protein called STAT5. STAT5 also activates the PI3 kinase-Akt signaling pathway, which is believed to result in activation of AKT and p70s6K, which in turn plays a role in protein synthesis. This pathway has been suggested to be critical in regulation of skeletal muscle hypertrophy. On the basis of the above findings, it appears plausible that EPO receptor activation may contribute in regulating skeletal muscle fiber growth. Get ready for a completely new workout experience as you feel the power of MHP’s DARK RAGE! Dark Rage’s EPO Blood Building Technology is just one of many major advancements that makes it the most scientifically superior pre-workout formula ever! In the development of DARK RAGE, MHP’s research and development team set out to formulate a product that would surpass all others in not only pumps, but also in energy, workout intensity, muscle power, muscle endurance, muscle growth and recovery. After extensive research and testing, MHP’s R&D team accomplished their goal by customizing proprietary compounds to address all of the important physiological and psychological variables required for maximum workout intensity, power and endurance. These customized proprietary compounds are formulated and synergistically balanced to elicit extremely powerful effects and prime your body and mind for the ultimate workout experience. DARK RAGE’s Proprietary Pump and Total Performance Complex: DARK RAGE represents the new standard of what you need and expect from a pre-workout formula. The days of using only nitric oxide to induce a pump and overlooking other important physical and psychological variables that influence performance and muscle growth are over. If you’re looking to take your workouts and muscle gains to a new level you will welcome DARK RAGE as your new pre-workout formula. EPODROL™: EPO PLASMA RED BLOOD CELL STIMULATOR- a patent pending compound of clinically researched EPO co-factors designed to trigger the powerful hormone Erythropoietin to increase the production of red blood cells and increase plasma blood volume for far greater muscle pumps and vascularity. 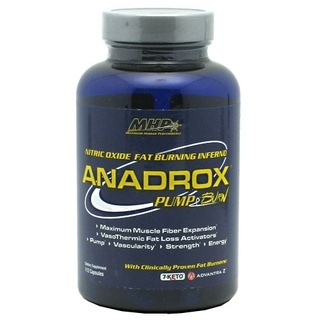 This increased blood volume in turn increases oxygen transport and the delivery of anabolic hormones and nutrients to muscle tissue, which has an immediate impact on muscle pumps, performance and stimulating muscle growth. EPODROL features proven EPO and red blood cell producing ingredients such as Arachidonic Acid, Echinacea, Cobalt, Albumin, Iron and a matrix of essential vitamin and mineral blood building co-factors. Albumin: An abundant blood protein. Albumins are important in regulating blood volume by maintaining the osmotic pressure of the blood compartment, which is involved in producing the “pump”. Albumins also function as carriers of molecules of low water solubility, including lipid soluble hormones such as testosterone. Arachidonic Acid: The EPO production stimulating effects of Arachidonic Acid are attributed to its involvement in the biochemical process leading to the actual production of EPO in the body. Arachidonic Acid is involved in many structural and biochemical functions. With respect to EPO production, Arachidonic Acid is the precursor molecule in the production of eicosanoids, which stimulates production of EPO. Cobalt: Cobalt is another key research based EPO/red blood cells production stimulator, which is needed by humans in small amounts. It is also a necessary component of vitamin B12. In the research report on Cobalt, researchers reported that cobalt is a naturally occurring element that enhances erythopoiesis and angiogenesis (growth of new blood vessels), resulting in increasing red blood cell concentration and circulation. The proposed mechanisms of action include more efficient transcription of the erythropoietin gene. Echinacea: Echinacea stimulates production of erythroid (red blood cell) growth factors, induces erythropoiesis, and increases the oxygen-transport capacity of the blood, in addition to its role in beneficially stimulating the immune system. The blood building and improved oxygen carrying capacity effects of taking standardized Echinacea supplements was reported in a recent study using male subjects. This research, along with other research studies, found that use of Echinacea containing supplements increased EPO, interleukin-3 (IL-3), red blood cell count, increased the number and size of red blood cells and increased maximal oxygen consumption VO2max. Iron: Iron is a part of all cells and has many functions in our bodies. Related to the bloodstream, iron (as part of the protein hemoglobin) carries oxygen from our lungs to the tissues throughout our bodies. Having too little hemoglobin is called anemia. Iron also helps our muscles store and use oxygen. Also, iron is a part of many enzymes and is used in many cell functions. Enzymes help our bodies digest foods and also help with many other important reactions that occur within our bodies. Nattokinase: A naturally produced enzyme that exhibits fibrinolytic activity, which helps to prevent red blood cells from sticking together and promotes good blood flow. A primary mode of action is through the ability of nattokinase to dissolve the tiny fibrin fibers that can hold blood cells together. This fibrinolytic activity helps to support healthy blood flow by keeping red blood cells from clotting together, thereby allowing red blood cells to carry more oxygen to the exercising muscles and clear away carbon dioxide metabolic waste product. Portulaca oleracea: Contains high concentrations flavones that scientific research reports may improve the expression level of EPO and accelerate the generation of erythrocytes and hemoglobin. HEMASTEM™: HEMATOPOIETIC STEM CELLS STIMULATOR – This ultimate innovation contains research proven ingredients that stimulate the production of the stem cells, which are the precursor cells that are activated by EPO to develop into full fledged red blood cells. HemaSTEM makes the EPO simulating effects of DARK RAGE even more effective in boosting red blood cells and increasing blood volume for extreme vascular expansion and muscle pumps. HemaSTEM features proven stem cell stimulating ingredients such as, Cyanophyta, Angelica, Ginkgo, Anthocyanins, Polyphenols, and essential vitamin and mineral nutrients. The HEMASTEM proprietary combination of nutrients and botanical factors work together to provide the nutritional support to stimulate production and longevity of the vital precursor stem cells that are used to create an effective supply of red blood cells. As the longevity of red blood cells is only a few to several weeks, it is important to provide nutritional factors to ensure a constant supply of precursor cells. Moreover, the HEMASTEM bioactives help to protect precursor cell population to increase the reserve of these important cells, and also protect the mature red blood cells in the bloodstream to prolong their longevity. Additional related benefits from the multi-bioactive functioning include improved blood flow and increased antioxidant protection, which further enhances red blood cell production and function in the bloodstream, in addition to circulatory system health. VASOSHOCK-NO™: NITRIC OXIDE (NO) MASS PUMP INFUSION – The most advanced and only nitric oxide complex with Hemafolate designed to override NO agonist and push NO beyond normal physiological levels for greater vasodilation. This proprietary blend of compounds promotes maximally effective nitric oxide (NO) induced vasodilation and muscle pumps through a series of complex NO producing bio-chemical pathway synergists. This extra vascular expansion is critical to improve blood viscosity to support DARK RAGE’s increased blood volume and enhance blood flow rate for maximum muscle pumps. VasoSHOCK-NO features proven NO elevating ingredients, such as the special multi-arginine complex (AAKG, Di-Arginine Malate, L-Arginine, Arginine Ethyl Ester), Citrulline, Gynostemma, Pycnogenol, Cnidium, Icarin and Hemafolate. Multi-Arginine Complex: L-Arginine Alpha Keto Glutarate, DiArginine Malate, L-Arginine, L-Arginine Ethyl Ester to provide multiphasic supply of bioeffective Arginine, which is the key amino acid that is used to make nitric oxide in your body, which causes blood vessel vasodilation. The Multi-Arginine Complex ensures fast, complete and sustained multiphasic absorption of the bioeffective arginine molecule provided in free form and special complexes with Alpha Keto Glutarate, Malate and Ethyl Ester for maximum NO producing results. L-Citrulline: Like Arginine, Citrulline is used by the body to produce nitric oxide. Inclusion of Citrulline is a way of saturating the nitric oxide production pathways to ensure peak nitric oxide production and promote extremely high levels of vasodilation and super-pumps. Gynostemma pentaphyllum: Gypenosides extracted from Gynostemma pentaphyllum have been shown to elicit vasorelaxation and vasodilation through the direct release of endothelium-derived nitric oxide. The stimulation of NO production is vital to achieving and sustaining high levels of pump producing NO levels. Cnidium Monnier: This Chinese herbal was traditionally used for male sexual performance enhancement. But modern research discovered that a primary physiological function was to increase the release of Nitric Oxide, promoting vasodilation, which proves its effectiveness as part of the dynamic Dark Rage formula. Pycnogenol: Research has reported about many health benefits from taking pycnogenol supplements, in particular benefits to the circulatory system. Recent clinical trials have indicated that exercise training is associated with a sustained and systemic increase in the capacity for endothelial nitric oxide production. Pycnogenol® stimulates the enzyme “endothelial nitric oxide synthase” (eNOS) for enhanced generation of NO from the precursor molecule L-arginine. This causes relaxation of the blood vessels and improves blood flow. Pycnogenol® dose-dependently increased the arterial diameter up to 78.4% of the maximum possible relaxation. Two clinical studies have shown that Pycnogenol® causes vasodilation and consequently improves blood micro-circulation. Application of specific sensors to the skin of the legs demonstrated an increased presence of oxygen and decreased carbon dioxide after consumption of Pycnogenol® over a period of six weeks. This finding suggests that Pycnogenol® supports lasting anaerobic muscle activity during any kind of physical exercise. The enhanced NO synthesis facilitated by Pycnogenol® was shown to also normalize blood pressure as well as blood platelet aggregability which helps to keep blood viscosity within healthy physiological range. Folate: Essential vitamin that stimulates the hematopoietic system and is required for red blood cell production. Folate also has beneficial effects on endothelial function, as measured with the use of flow-mediated dilation (FMD). A recent study reported that folic acid improved endothelial function and increased flow-mediated dilation. Folate also lowers homocysteine levels, which is beneficial because a high level of homocysteine can impair cardiovascular function and blood flow. Furthermore, research revealed that folic acid is involved in the regeneration of tetrahydrobiopterin, which enhances nitric oxide synthase function and maximizes nitric oxide production. 5-formyl-tetahydrofolate (5FT) is a powerful bioactive compound that has the unique ability to maximize the conversion of arginine to NO by augmenting all of the co-factors involved in arginine’s conversion to Nitric Oxide within the series of complex biochemical pathways. While arginine is the primary precursor used by the body to produce Nitric Oxide, there are many interactions along the Nitric Oxide synthesis pathway that influence Nitric Oxide production; both positive (NOS-Nitric Oxide Synthase) and negative or inhibitory factors (ADMA-asymmetric dimethylarginine and SOA-super oxide anion). 5FT actually increases the amount of arginine that converts into Nitric Oxide by stopping negative factors, such as ADMA and SOA dead in their tracks, which greatly optimizes critical nitric oxide production biochemical pathways. Then, 5FT “kicks-in” to directly increase NOS-Nitric Oxide Synthase activity, which greatly boosts the production of Nitric Oxide, resulting in greater vasodilation and extreme muscle pumps. For the ultimate workout experience and peak performance, empty the contents of one (1) precisely dosed Dark Rage stick pack in 16 oz of water in a glass or shake bottle. Drink 30-45 minutes before your workout. DARK RAGE Proprietary Pump And Total Performance Complex (Patents Pending): EPODROL: EPO Plasma Red Blood Cell Stimulator: Glucose Polymers, Blood Building Vitamin And Mineral Complex, Aracidonic Acid, Nattokinase, Echinacea (Angustifolia, Purpurea), Portulaca Oleracea (Standardized Flavones), Glycerol Monostearate, Albumin, Cobalt (As Amino Acid Chelate), Nickel. 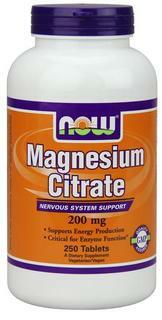 Ingredients: Citric acid, malic acid, natural and artificial flavors, silica, Blue 1, acesulfame potassium and sucralose. Not intended for use by those with a medical condition. Use only as directed. Do not exceed recommended daily intake. Not intended for use by persons under age 18. Consult your physician prior to use if you are pregnant or nursing, or if you are taking medication, including but not limited to, MAO Inhibitors, anti-depressants, aspirin, non-steroidal anti-inflammatory drugs or products containing ephedrine, pseudoephedrine, synephrine, phenylephrine, caffeine or other stimulants. Contains caffeine. Do not consume caffeine from other sources, including but not limited to coffee, tea, soda and other dietary supplements or medications containing caffeine. Consult your physician prior to use if you have a medical condition, including, but not limited to, heart, kidney, liver, or thyroid disease, psychiatric or epileptic disorders, difficulty urinating, diabetes, high blood pressure, cardiac arrhythmia, recurrent headaches, enlarged prostate or glaucoma. Discontinue 2 weeks prior to surgery or if you experience rapid heartbeat, dizziness, severe headache or shortness of breath. Do not use for more than 8 weeks. Allergen Warning: Contains milk, egg and fish gelatin (cod, Pollock, haddock, hake, cusk, redfish, sole, and flounder). MYOVOL-ATP™: ADVANCED MULTI-PHASE CREATINE TRANSPORT AND CELL VOLUMIZING MATRIX — This cutting-edge matrix works synergistically to accelerate creatine transport directly into working muscle tissue, along with delivery of vital metabolic co-factors to produce extreme muscle bioenergetics for increased strength and muscle fiber enlargement. MyoVOL-ATP features proven cell volumizing and bio-energetic boosting ingredients, such as Glucose Bound Creatine Gluconate, Creatinol-O-Phosphate, MicroTein sustained release creatine, Glycocyamine, GuaniPro guanidine propionic acid and TMG. Glucose Bound Creatine Gluconate: This specialized Glucose Bound Creatine Gluconate maximizes the uptake of creatine into the body, facilitates fastest delivery of creatine to muscle cells and optimizes the utilization by muscle fibers. The glucose moiety provides for insulin receptor uptake stimulation to ensure maximum responsiveness by muscle tissues for increasing creatine uptake speed and rapid muscle tissue creatine saturation. This specialized form of glucose bound creatine therefore maximizes creatine’s vital ergogenic role for producing tremendous cell volumizing effects, in addition to boosting anaerobic energy production for generating high-velocity muscle contractions for increased strength. MicroTein Sustained Release Creatine: To sustain the Dark Rage induced strength power surge and muscle fiber volumizing effects, the specialized MicroTein Sustained Release Creatine helps ensure that a steady supply of creatine is supplied to muscles during workouts and after workouts for optimal ATP production and creatine uptake. The sustained release technology is critical because the body can only utilize 2 to 3 grams of immediate released creatine. This advanced sustained release creatine delivery works synergistically with the faster acting Glucose Bound Creatine Gluconate to help ignite the most incredible muscle pumps, from igniting maximum muscle fiber cell expansion working at the cellular level, while boosting strength producing energy production to produce more muscle building reps and sets. Creatinol-O-Phosphate (COP): This muscle fiber bioenergetic performance enhancing compound has been the subject of dozens of independently published research studies, which reveals important benefits for athletes. COP research has reported improved strength performance, via increased muscle fiber activation. Greater muscle fiber activation results in increasing the muscle’s ability to generate more force, which is required for strength and athletic performance. Research also reports a reduction in potential fatigue-causing lactic acid levels via improved blood buffering. Research results further indicate about how subjects taking COP as part of their training program were able to experience greater muscle fiber activation, which was sustained for longer periods of time, stimulating greater muscle strength-endurance. 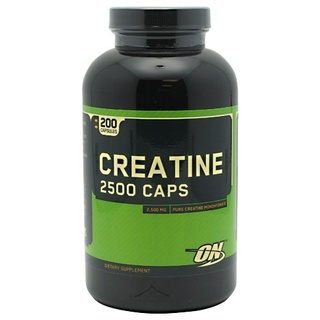 This provides important synergistic muscle bioenergetic, performance, growth and recovery with the specialized creatine substances contained in Dark Rage. BetaEndur™: MUSCLE ENDURANCE BETA ALANINE/pH BUFFERING SYSTEM – A key factor for enhancing muscle strength and stimulating muscle growth is optimizing the anaerobic bio-energetic fast-twitch muscle fiber capacity to contract over and over again during heavy weight training. BetaBLAST contains an advanced muscle pH buffering system that actually enables you to fight off muscle fatigue so you can squeeze out more reps and pump even more anabolic blood into your muscles during your totally outrageous “overload” training sessions. BetaEndure features proven fatigue fighting and anti-catabolic ingredients such as, Beta Alanine, Citrate, Phosphate, Taurine and BCAAs. Beta-Alanine: A key ingredient that boosts the body’s naturally blood-buffering system via boosting carnosine levels. Carnosine is synthesized in the body from beta-alanine and is reported to have several biological functions including antioxidant activity, activation of myosin ATPase activity, enhance copper uptake and, of particular interest to athletes, buffering the pH of exercising muscle. Research conducted with athletes using beta-alanine have reported a significant increase in total work (exercise capacity) and increase time to exhaustion (muscle endurance) attributed to the increased blood buffering capacity. Additional research was aimed at determining what performance enhancing effects would occur by combining creatine and beta-alanine. One research study examined the effects of 28 days of beta-alanine, creatine and beta-alanine and creatine supplementation compared to a placebo group. The researchers wanted to measure the effects of the supplements of the onset of neuromuscular fatigue in untrained men. After 28 days the Beta-alanine and Beta-alanine and creatine taking groups exhibited a delay of neuromuscular fatigue using a continuous incremental cycle ergometry test. Keeping in mind that other research reported that creatine loading may delay the onset of fatigue. Another research study examined the effects of creatine and beta-alanine supplementation on performance and endocrine responses in strength athletes, football players. The football players followed a 10-week resistance training program. They were divided into groups who ingested either creatine, creatine and beta-alanine or a placebo. Significant changes in lean body mass were measured in the group of football players taking creatine and beta-alanine together. Football players taking either creatine or creatine and beta-alanine together experienced significant increase in strength performance, and football players taking just creatine also experienced an increase in testosterone levels. Branched Chain Amino Acids (BCAAs): The BCAAs are the essential amino acids isoleucine, leucine and valine. Together, these three amino acids make up about 35 percent of the amino acid content of muscle tissue. Each of these amino acids is also used by the body for energy, in addition to anabolic processes. Studies confirm that the BCAAs taken before exercise help to delay the onset of fatigue and increase physical and mental endurance and the capacity to endure intensive workouts. Some of the exercise related benefits observed in research studies include increased exercise endurance, reduction of exercise related fatigue, improved mental performance, increased energy levels, stimulation of protein synthesis, improved nitrogen balance, improved immune system function, increased lean body mass and Increased strength. Taurine: This important amino acid plays vital roles in supporting neuro-muscular functioning. Taurine is found in muscle tissues in high amounts and plays an important role in modulating the force of muscle contractions and electrolyte balance control. Via neural system tissues, taurine plays a vital role in igniting neuronal excitability needed to trigger powerful muscle contractions. An extra benefit of taurine includes its role in protecting muscle and nervous system tissues. Taurine is therefore included in Dark Rage due to its diverse and important functions to ensure adequate tissue levels for bouts of strenuous training. PsychoRAGE™: EXTREME FOCUS AND ENERGY UP REGULATORS – get ready to experience the most intense, energized workout of your life as exclusive psychotropic factors, neuro-active compounds and energizers found only in Dark Rage ignite extremely powerful neural system impulses. PsychoRAGE triggers an extreme state of euphoria and mental focus while stimulating the release of adrenaline to super-charge your workouts.PsychoRAGE features proven neuro-active ingredients, such as Glucuronolactone, Caffeine, 1-amino-2-phenylethane, Beta Methoxyphenylethylamine, Tyrosine, Hyperzine A, Vinpocetine, Theobromine and Yohimbe. Beta-Methoxy PEA: Beta-Methoxy Phenethylamine freely enters the brain barrier and triggers a cascading release of norepinephrine, dopamine and serotonin and stimulates the mesolimbic reward pathway, causing euphoria and excitement. Beta-Methoxy PEA works in part by increasing noradrenaline (NA) release from sympathetic nerve terminals. As a sympathomimetic, Beta-Methoxy PEA acts to stimulate the sympathetic nervous system to release norepinephrine, or what is commonly called noradrenaline (NA), into the synaptic space. Beta-Methoxy PEA is the most effective form or PEA by virtue of its long half-life (stays active in the body longer) as well as its affinity to be better absorbed and permeate the blood/brain barrier. The beta “Methoxy” moiety on this compound protects it and allows for increased absorption across the blood brain barrier and deep penetration into the fatty tissues of the brain where it interacts with the adrenergic receptors to better stimulate noradrenaline release and elicit extreme euphoric “feel good’ neuro-sensory effects. An additional noteworthy benefit of Beta-Methoxy PEA includes its ability to reduce body fat by promoting use of stored body fat for energy. Caffeine: Caffeine plays a role as an important synergistic with Beta-Methoxy PEA in maintaining the elevated release of Noradrenaline, as well as the other variety of positive effects, notably boosting physical and mental performance. Caffeine use is associated with causing increased alertness and enhanced physical performance, and as a countermeasure to the effects of sleep deprivation. Extensive research has been done on each of these effects of caffeine and reported the following benefits related to boosting workout performance: increases alertness by stimulating the nervous system; increases lipolysis (boosting the use of fatty acids for energy); increases physical activity, and it stimulates thermogenic activity to burn more calories thereby increasing energy production and workout endurance. Glucuronolactone: Scientists investigated the effects of glucuronlolactone, caffeine and taurine (all of which are contained in Dark Rage) on athletes. Researched measured the effects of this combination on plasma catecholamines, endurance time and other performance parameters. The researchers found that the glucoronolactone, caffeine and taurine taken in combination produced a positive effect on hormonal responses which led to a higher level of workout performance, such as increasing the number of repetitions performed and the total volume of exercise. Dark Rage has set a new standard. Take your training to the next level with the next generation pre-workout formula….Dark Rage! Dark Rage has the ability to stimulate the release of Erythropoietin (EPO), a powerful agent which increases red blood cell production and blood volume. Dark Rage’s dual EPO-NO action causes “hemodynamic blood plasma vasodilation” which provides a large supply of EPO induced blood that is being transported through nitric oxide induced vasodilated veins and capillaries to muscle tissue. Anyone looking to take their workouts to a new level of intensity, extreme muscle growth, fast recovery and incredible anabolic muscle pumps! Mix 1 scoop of Dark Rage with 12-16 oz of water 30 minutes prior to working out. Stick Packs:Empty the contents of one (1) precisely dosed DARK RAGE Stick Pack in 16 fl. oz. of water in a glass, shaker bottle or water bottle. Drink 30-45 minutes prior to your workout. Dark Rage is the first Erythropoietin Stimulating Agent on the sports nutrition market. Maltodextrin, Malic Acid, Citric Acid, Natural Flavors, Silica, FD&C Red No. 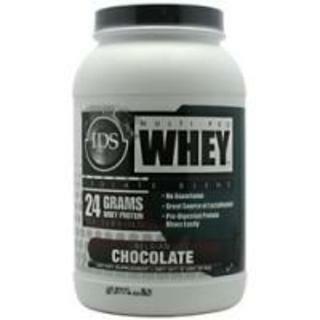 40 Lake, Acesulfame Potassium, Sucralose, FD&C Blue No. 1 Lake, Glycerol Monostearate (1 Mg), And Medium Chain Triglycerides. For the ultimate workout experience and peak performance, take Dark Rage 30 to 45 minutes before your workouts. Mix 1 scoop with 12 to 16 oz of water in a glass or shaker bottle. Not intended for use by those with a medical condition. Use only as directed. Do not exceed recommended daily intake. Not intended for use by persons under age 18. Consult your physician prior to use if you are pregnant or nursing, or if you are taking medication, including but not limited to, MAO Inhibitors, antidepressants, aspirin, non-steroidal anti-inflammatory drugs or products containing ephedrine, pseudoephedrine, synephrine, phenylephrine, caffeine or other stimulants. Contains caffeine. Do not consume caffeine from other sources, including but not limited to coffee, tea, soda and other dietary supplements or medications containing caffeine. Consult your physician prior to use if you have a medical condition, including, but not limited to, heart, kidney, liver or thyroid disease, psychiatric or epileptic disorders, difficulty urinating, diabetes, high blood pressure, cardiac arrhythmia, recurrent headaches, enlarged prostate or glaucoma. Discontinue 2 weeks prior to surgery or if you experience rapid heartbeat, dizziness, severe headache or shortness of breath. Do not use for mare than 8 weeks. Keep Out Of Reach Of Children. Allergen Warning: Contains Milk, Egg And Fish Gelatin (Cod, Pollock, Haddock, Hake, Cusk, Redfish, Sole And Flounder).